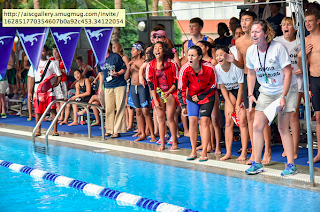 Lincoln Recent News: Lincoln Swimmers Make a Big Splash in Chennai - Updated with video. Lincoln Swimmers Make a Big Splash in Chennai - Updated with video. Niharika winning gold in 13-14 200 breaststroke. Iskra winning gold in same event, but 15-19 age group. Sofia winning gold and breaking her own SAISA record by .01 in 50 fr.Shreetika's big hearted golden effort in 400 free open category. -The 15-19 girls 4 x 100m relay of Shreetika, Oshina, Iskra, and Sofia annihilating Lincoln's previous SAISA record by 16 seconds! Congratulations to our swimmers for all their hard work, determination and success!